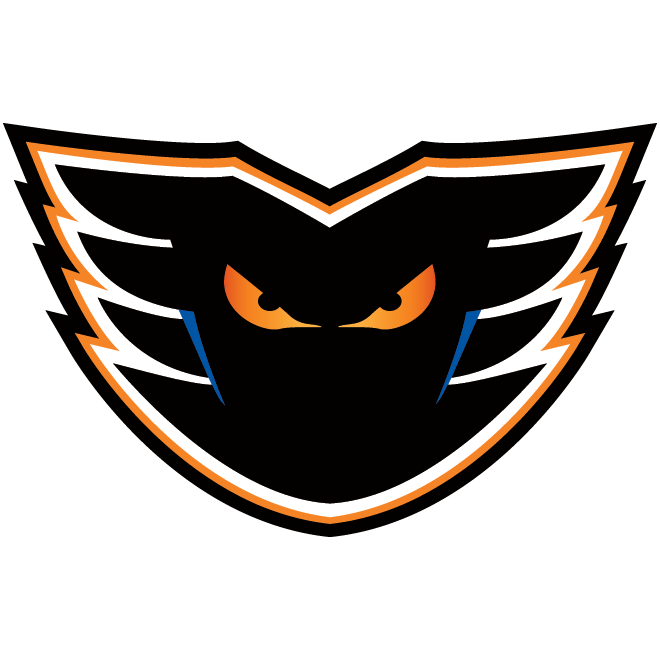 Winners of six of their last seven games and 13 of 16 games overall (13-2-1), the red-hot Lehigh Valley Phantoms (40-16-3-4, 87 pts., 0.690 pts. pct., 1st Atlantic Division) return to action for three games this weekend, including two highly-anticipated showdowns at PPL Center. The Phantoms enter the week with the most wins (40) in the Atlantic Division and currently pace all 30 AHL clubs with 87 standings points. 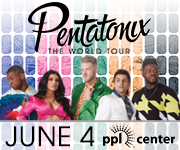 What’s more, Lehigh Valley enters the week having garnered standings points in 13 of its last 14 home games having posted an impressive 11-1-2 mark at PPL Center during that stretch. Thanks to the team’s recent surge, Lehigh Valley’s magic number to secure a berth in the 2018 Calder Cup Playoffs is down to just 12 standings points. The Phantoms return to action this Friday, March 16 when the team heads up to Hartford for a 7:15 p.m. clash with the Wolf Pack. Hartford (26-29-5-3, 60 pts., 0.476 pts. pct., 7th Atlantic Division) dropped both games in a weekend series at the Charlotte Checkers last week and enters the week having dropped six straight outings (0-5-1). After a 4-3 loss at Charlotte last Friday, the Wolf Pack closed their weekend with a 7-3 defeat to the Checkers. During Hartford’s six-game skid, the Wolf Pack have been outscored 28-15. 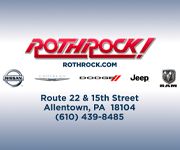 Friday’s game marks the fifth of six total meetings during the 2017-18 regular season between Lehigh Valley and Hartford with the Wolf Pack having claimed each of the first four head-to-head collisions. Three of the first four meetings have been decided in overtime/shootout with all four contests having been decided by just a single goal. 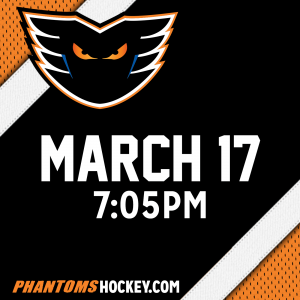 The Phantoms then return home on Saturday, March 17 when they welcome the Providence Bruins to downtown Allentown for a 7:05 p.m. tilt. Providence (36-20-3-2, 77 pts., 0.631 pts. pct., 3rd Atlantic Division) claimed two of three games last week and enters this week having won five of its last seven games overall. The Bruins opened last week’s action with a 6-3 victory at the Laval Rocket on Wednesday before earning a 2-1 overtime triumph at the Rochester Americans on Friday. Providence then capped its week with a 4-3 setback at the Toronto Marlies on Saturday. 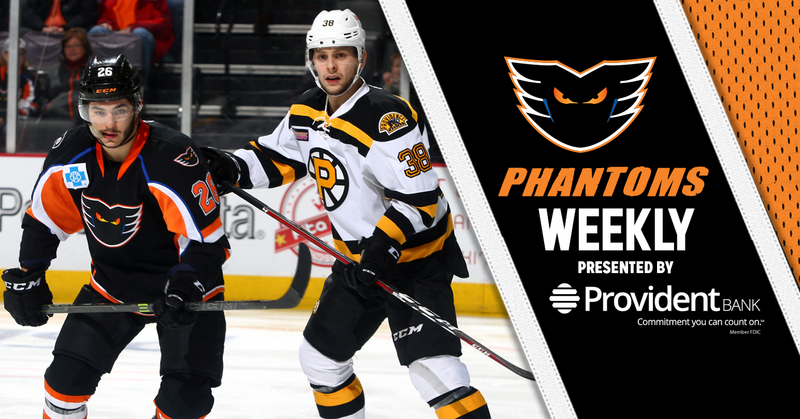 This Saturday’s game will be just the second of six total meetings this season between the Phantoms and Bruins after Lehigh Valley claimed the series opener with a 3-2 victory at PPL Center back on January 24. Saturday’s game kicks off a stretch of five head-to-head collisions between Lehigh Valley and Providence over the next 23 days. A limited number of tickets remain to Saturday’s game and are available HERE. 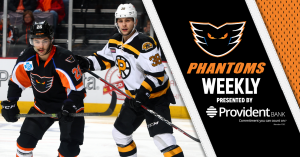 The Phantoms then cap this week’s action on Sunday, March 18 when they welcome the Springfield Thunderbirds to PPL Center for a 3:05 p.m. showdown. Springfield (28-29-4-1, 61 pts., 0.492 pts. pct., 6th Atlantic Division) fell in two of three games last week but enters this week having claimed standings points in five of its last six games overall (3-1-2). Sunday’s contest will be the sixth and final meeting of the 2017-18 regular season between the Phantoms and Thunderbirds with Lehigh Valley having posted a 4-1 mark against Springfield this year. The Phantoms claimed the most recent collision with an 8-2 victory at MassMutual Center in Springfield back on February 16. 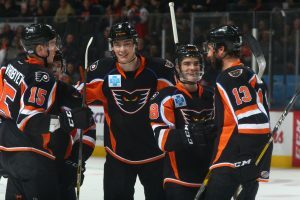 Meanwhile, the Atlantic Division foes have split two prior contests at PPL Center with Lehigh Valley earning a 3-2 overtime win back on October 25 before the Thunderbirds grabbed a 6-2 victory in downtown Allentown on January 12. Lehigh Valley’s Greg Carey (3 goals, 4 assists) and Phil Varone (3 goals, 4 assists) currently lead all scorers in the season series with seven points apiece. 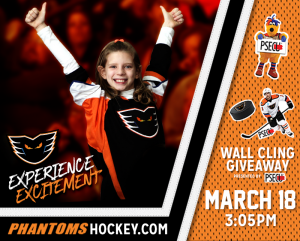 Sunday’s game is another Sunday FunDay at PPL Center with a Wall Cling Giveaway presented by PSECU to the first 2,000 kids 14 and under in attendance. A limited number of tickets remain for Sunday’s game and are available HERE. 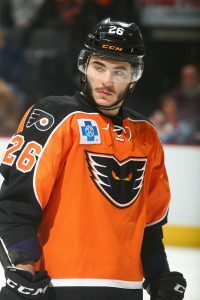 Forward Phil Varone (right) enters the week leading all Phantoms and remains first among all AHL skaters in scoring with 62 total points (19 goals, 43 assists). He tallied five points across three games last weekend and has already established new career highs for both goals (19) and points (62) in a single season. The Phantoms rattled off 40 shots on goal, including 20 in the third period, but the Bridgeport Sound Tigers were able to escape PPL Center with a 3-2 decision over Lehigh Valley. 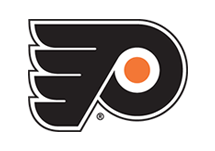 Greg Carey (24th) and Tyrell Goulbourne (8th) provided the offense for the Phantoms in front of goaltender Dustin Tokarski who turned in a strong 30-save performance between the pipes. 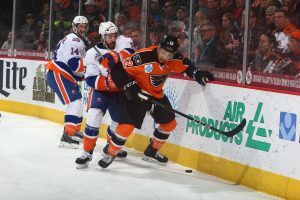 Friday’s decision snapped Lehigh Valley’s home point streak at 12 consecutive games (10-0-2) as the Phantoms moved to 5-1 this season against the rival Sound Tigers. Greg Carey scored twice (25th, 26th) and goaltender John Muse turned aside 39 of Bridgeport’s 40 total shots as the Phantoms claimed the back end of their home-and-home series with the Sound Tigers with a 4-1 triumph at Webster Bank Arena. Danick Martel (21st) and Cole Bardreau (7th) also scored for Lehigh Valley as the Phantoms improved to 6-1 on the year against Bridgeport. Saturday’s victory was Lehigh Valley’s 12th over its last 15 outings (12-2-1) as the team improved to 19-10-2 on the road this year. 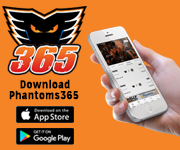 Mike Vecchione (15th) broke a 3-3 deadlock in the final minute of regulation Sunday as the Phantoms outlasted the Binghamton Devils in front of 7,395 fans inside PPL Center in claiming a 5-3 triumph to close out the weekend. 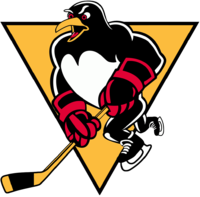 Phil Varone (19th), Cole Bardreau (8th), Mikhail Vorobyev (8th) and Will O’Neill (6th) also found the back of the net for Lehigh Valley in front of goaltender Dustin Tokarski who earned his 16th win of the season after turning aside 23 of Binghamton’s 26 total shots. With Sunday’s victory, the Phantoms became just the AHL’s second team this season to reach the 40-win mark as Lehigh Valley continues to pace all 30 AHL clubs with an impressive 87 standings points. With Sunday’s win, the Phantoms have now garnered standings points in 13 of the club’s last 14 games at PPL Center (11-1-2) as Lehigh Valley improved to 21-6-5 overall at home this year. 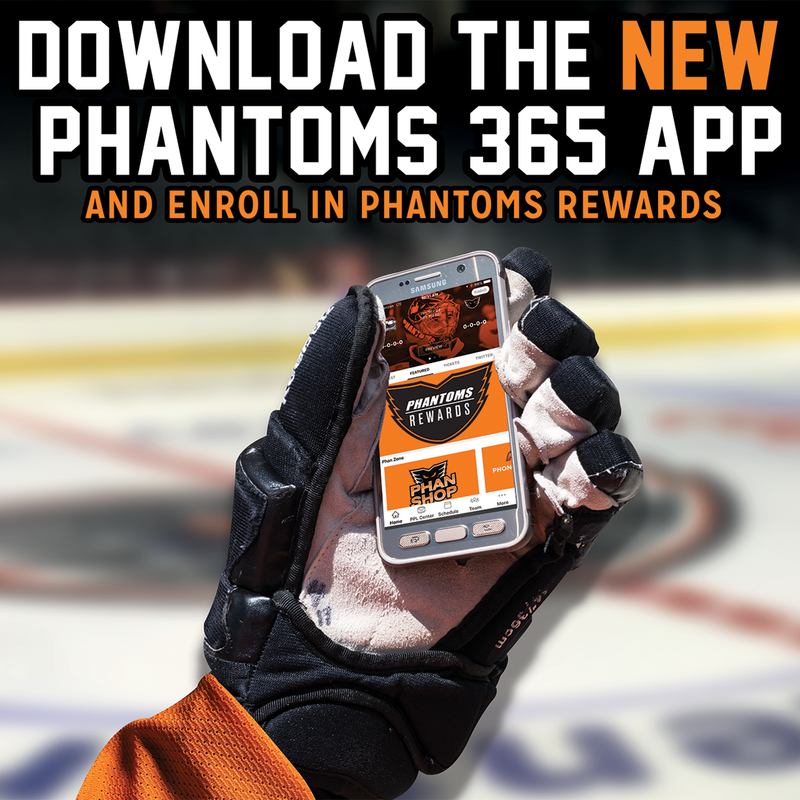 Service Electric’s TV2 Sports will be broadcasting live each of the Phantoms’ six home games throughout the 2017-2018 regular season. 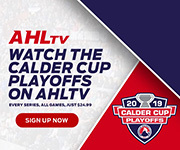 If you can’t make it out to the rink, be sure to catch all the exciting action live in HD quality with Steve Degler, Todd Fedoruk, Doug Heater and Kristi Fulkerson! Pre-game coverage begins with “Phantoms Front and Center” 30 minutes before puck drop.